Robins Air Force Base (IATA: WRB, ICAO: KWRB) is a major United States Air Force installation located in Houston County, Georgia, United States. The base is located just east of and adjacent to the city of Warner Robins, Georgia, 18 mi (29 km) SSE of Macon, Georgia, and about 100 mi (160 km) SSE of Atlanta, Georgia. The base is named in honor of Brig Gen Augustine Warner Robins, the Air Force's "father of logistics". 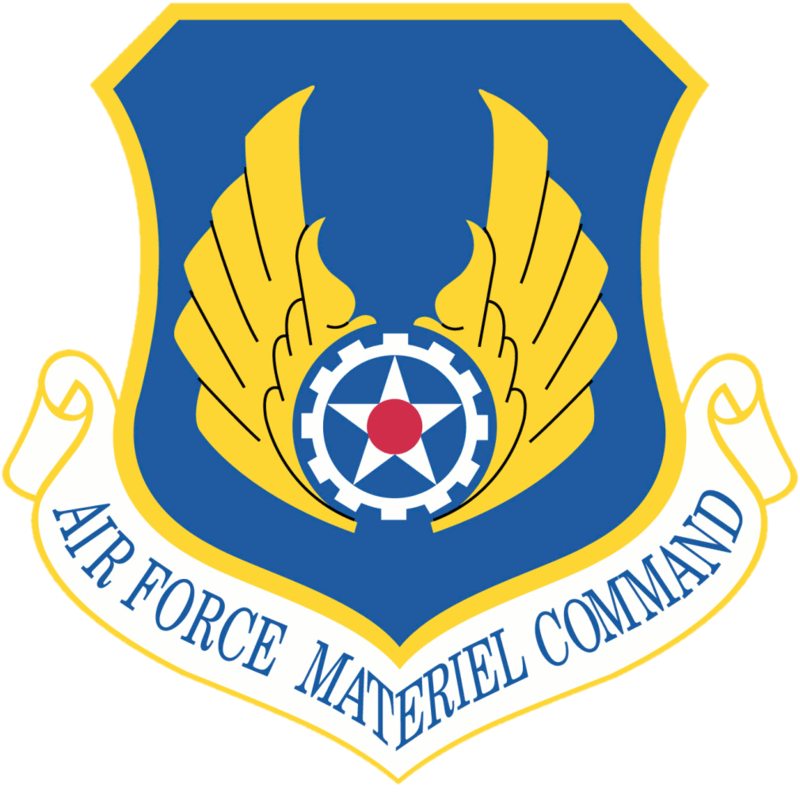 Robins AFB is the home of the Air Force Materiel Command's Warner Robins Air Logistics Complex (WR-ALC) (FLZ) which is the worldwide manager for a wide range of aircraft, engines, missiles, software and avionics and accessories components. The commander of WR-ALC is Major General Robert H. McMahon. It is one of three Air Force Air Logistic Centers, the others being Oklahoma City Air Logistics Center (OC-ALC) at Tinker Air Force Base, Oklahoma and Ogden Air Logistics Center (OO-ALC) at Hill Air Force Base, Utah. 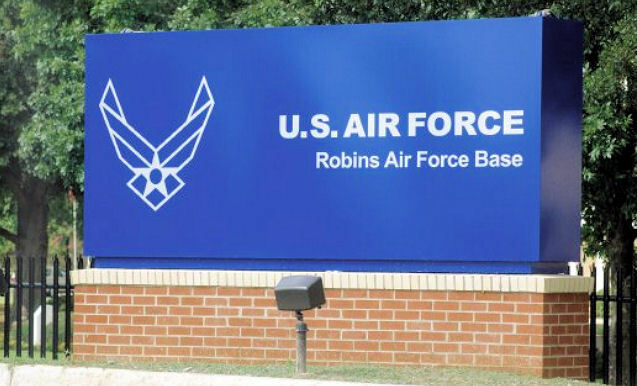 The host unit at Robins AFB is the 78th Air Base Wing (78 ABW) which provides services and support for the Warner-Robins Air Logistics Complex and its tenant organizations. The Wing and Installation Commander of Robins Air Force Base is Colonel Carl A. Buhler. The Wing Vice Commander is Colonel Debra Bean. Has worldwide management and engineering responsibility for the repair, modification and overhaul of the F-15 Eagle, C-130 Hercules, and C-5 Galaxy aircraft. In addition to these weapon systems, the ALC has worldwide management responsibility for the U-2 Dragon Lady, all Air Force helicopters, all special operations aircraft and their peculiar avionics systems. The center also provides logistic support for all the C-17 Globemaster III, Air Force missiles, vehicles, general purpose computers, and many avionics and electronic warfare systems used on most Air Force aircraft. The wing provides physical, military and community operations and business infrastructure processes for Robins AFB and its 39 associate units. Responsible for logistics readiness, medical, civil engineer, security, comptroller activities, contracting, morale and welfare, mission support, public affairs, legal civilian personnel, environmental management, fire emergency services, and emergency management for the installation. The wing provides weapon system logistics support, oversees unscheduled and programmed depot maintenance, and manages modification efforts for the Air Force’s fleet of C-5, C-130, C-17, F-15, U-2, and E-8C Joint STARS aircraft, Global Hawk,Distributed Common Ground System (DCGS), MC-130, HC-130 and various special operations combat search and rescue aircraft and helicopters to include AC-130H/U,MC-130E/H/P, EC-130J, MH-53J/M, HH-60G, UH-1N,TH-1H, and HC-130P/N. In addition the wing is the engineering authority for all the aircraft above except for C-17, Global Hawk, and E-8C. Provides depot maintenance, engineering support and software development to major weapon systems (F-15, C-5, C-130, C-17 and SOF aircraft). Achieves command objectives providing a capability/capacity to support peacetime maintenance requirements, wartime emergency demands, aircraft battle damage repair and a ready source of maintenance of critical items. Provides our nation’s war fighters and allies the most combat capable and affordable electronic warfare systems in the world. The 542 CSW delivers a full spectrum of combat capabilities by designing, acquiring, installing, and sustaining electronic warfare, avionics, support equipment, vehicles, missiles, and weapons. Responsible for life-cycle management of over 800 systems valued at $56.2B. Manages $4.21B in executable funds and $8B in contracts to foster improvement in the agile logistics environment. Directly responsible for management of seven ACAT II programs. Programs include: electronic warfare, airborne and ground communication, navigation, precision attack systems,weapons and missiles, support equipment (SE),Automatic Test Systems (ATS), industrial equipment, vehicles, Basic Expeditionary Airfield Resources (BEAR),Air Force life support systems, armament, specialized programs, and supply chain management activities for WR-ALC. The War Department, in search of a site for an Army Air Corps Depot, selected the sleepy whistle-stop town known as Wellston, Georgia, 15 miles south of Macon. Army Colonel Charles Thomas, originally from Atlanta, landed at the Herbert Smart Airport near Camp Wheeler near Macon in October, 1941 to oversee the building of the location which would later become the home to Wellston Air Depot at Robins Field (later to become Robins AFB). It was Col. Thomas who chose the name "Robins" for his mentor Brig. Gen. Augustine Warner Robins. Brig. Gen. Robin's is considered the 'father of logistics' for his system of cataloging supplies and materials. He had a lengthy military career prior to becoming the chief of the Air Corps Materiel Division. Robins traveled in China disguised as a millionaire tourist, collecting intelligence for the Army. He also went to Mexico where he served under Gen. John J. Pershing in the Army's campaign against Pancho Villa. He trained during World War I to become a pilot earning his wings in June 1918. He didn't get to see combat because the war was ending. Robins suffered a near-fatal plane crash in 1921 in which his jaw and arm were severely broken. Brig. Gen. Robins died of a heart attack on Father's Day, 16 June 1940 at Randolph Field, Texas, while he was Commandant of the Air Corps Training Center. The 1935 Wilcox-Wilson bill provided for construction of new army air logistics depots, and in the early 1940s Macon civic leaders, led by Mayor Charles L. Bowden and supported by Congressman Carl Vinson, convinced the War Department to locate an airfield near Macon. In June 1941, after much competition, the War Department approved the construction of a depot in middle Georgia peanut-farm country near the Southern Railroad whistle-stop of Wellston. The site was chosen because of its flat lands, artesian water, proximity to a main rail line, and abundant and cheap land and labor. To placate the Atlanta faction, the Army approved a general Army depot at Ellenwood, without an airfield, for Army ground forces. Construction officially started with groundbreaking ceremonies on 1 September on a 3,108-acre (12.58 km2) tract. Macon city fathers, supported by Wellston leaders, obtained property rights from the Feagin Family who were the original owners. The Army Air Forces (AAF) later bought an additional 2,700 acres (11 km2) for the cantonment area, civilian barracks, and the pistol/rifle range. Even though Wellston was in Houston County, Bibb County leaders spent more than $100,000 to obtain Robins Field by increasing city business license taxes and county ad valorem taxes. Spurred on by the Japanese attack on Pearl Harbor in December 1941, the number of construction workers reached 2,200 by Christmas 1941. The Army enlarged the project by purchasing 2,637 additional acres and leasing 782 more south of the depot for troop training. In May 1942, the number of construction workers peaked at 6,600. The contractors essentially completed the project by 31 August 1942. Construction on the industrial and cantonment areas was completed by 31 August 1942. The second and third phases were completed the following April. The rapidly growing town of Wellston changed its name to Warner Robins on 1 September 1942. Known as the Georgia Air Depot in the beginning, the depot has undergone many name changes. It was redesignated seven times, eventually being named Warner Robins Army Air Depot on 14 October 1942. Warner Robins Army Air Depot eventually assumed overall command of the Air Service Command's installations in the states of Georgia, South Carolina, a portion of Florida, and North Carolina. Warner Robins supported approximately 6,500 Army aircraft in this area with depot maintenance and supply. Throughout World War II (1941–45), 23,670 employees repaired almost every kind of AAF aircraft, including B-17s, C-47s, B-29s, B-24s, P-38s, P-47s, and P-51s. Its training facilities turned out nearly 60,000 field repair mechanics for every theater of war. The workforce supplied every kind of part necessary to keep AAF planes flying, especially spark plugs. It also maintained thousands of parachutes, aircraft electronic and radio systems, and AAF small arms. In addition to aircraft maintenance and supply, air depots also trained aviation support personnel. These included air depot groups and air service groups, plus medical, military police, quartermaster, ordnance, chemical, and signal personnel. Warner Robins sent its first trained unit, the 38th Air Depot Group, overseas in December 1942. It is estimated that over 50,000 Army personnel trained at Warner Robins during the war. The depot's complement began a steady decline after the war, and by March 1946 only 3,900 employees remained. In the post-war era, Robins assumed the task of storing surplus war material and thousands of vehicles. The depot also cocooned and stored 250 B-29s. On 18 September 1947, the Army Air Force became the United States Air Force. Five months later on 16 February 1948, the airfield was re-designated Robins Air Force Base. Robins received its first major tenant when the Fourteenth Air Force moved there from Orlando AFB, Florida. The Berlin Airlift (1949) and the Korean War (1950–53) restored the workforce to 17,697 by December 1952. In addition to its normal mission, the depot returned most of the B-29s in storage to active service. During the war, Robins AFB overhauled and modified B-29 and F-84 aircraft as well as repairing F-80 and F-86 fighters. In 1951, the Air Force began a $3.5 million construction project. When this project reached completion in 1952, the Air Force made Robins AFB a permanent installation. Personnel strength grew in proportion and reached 17,697 by the end of 1952. A devastating F4 tornado struck the Warner Robins, Ga., area on April 30, 1953. Fortunately, the tornado struck immediately after the day shift had ended and casualties were minimal. The base sustained $2 million in damage and two fatalities; an officer's wife, and amateur cinematographer Vince Rupert, who was struck and killed by debris while capturing the tornado on film. All told, this one tornado caused the area 19 fatalities, 350 injuries, and $10 million in damage that left 1000 homeless. Vince Rupert's film has survived and has been noted as one of the earliest tornadoes ever captured on film. As the Korean War ended, along came a new conflict – the Cold War. Robins AFB assumed the management of the Matador and later the Mace surface-to-surface missiles as well as the Martin B-57 Canberra. To expedite services of Robins AFB to U.S. Air Force units all over the world, the 7th Logistic Support Squadron was transferred to Robins AFB in October 1954 with C-124 Globemaster transport airplanes. In 1955, the Air Force added a new 12,000 x 300-ft all-weather runway to the airfield. By the end of the 1950s, Robins AFB assumed management of virtually all the cargo aircraft in the Air Force that included the C-47, C-54, C-117, C-118, C-123, C-124, and the C-130. As a result, Robins called itself the "cargo center of the Air Force." Also in the late 1950s, Robins supported a Strategic Air Command effort to place nuclear alert aircraft on the eastern side of the base. SAC units at Robins initially operated B-47 "Stratojets" before upgrading to B-52 "Stratofortresses". To provide air defense of the base, United States Army Nike-Hercules Surface-to-air missile sites were constructed during 1959. Sites were located near Byron (R-88) 32°40′20″N 083°47′09″W﻿ / ﻿32.67222°N 83.78583°W﻿ / 32.67222; -83.78583, and Jeffersonville (R-28) 32°37′42″N 083°21′05″W﻿ / ﻿32.62833°N 83.35139°W﻿ / 32.62833; -83.35139 Georgia. They were operational between November 1960 and March 1966. When the U.S. Air Force closed down its maintenance depots at the former Brookley AFB in Mobile, Alabama and the former Olmsted AFB in Middleton Township, Pennsylvania, Robins AFB assumed the workload of these depots. Some Robins AFB SAC units re-deployed to Guam or Southeast Asia during the Vietnam War and took part in many of the bombing missions. Maintenance teams from Robins frequently traveled to Southeast Asia to repair severely damaged aircraft. Robins AFB eventually managed the Lockheed C-141, C-7, and the F-15 Eagle as well as modifying the C-130s to the gunship configuration. Robins played a key role in the Vietnam War (1964–73), supplying troops and materiel through the Southeast Asian Pipeline and modifying AC-119G/K and AC-130 gunships. Also playing a role were the C-141, the C-130, the C-123, and the C-124 cargo aircraft—all maintained at Robins. In 1973 these same C-141s supported the resupply of Israel in the Yom Kippur War. In October 1983, C-130s from Robins supported U.S. forces in the invasion of Grenada. Between 1977 and 1981, Robins was the air base used by former President Jimmy Carter during his tenure on visits to his hometown of Plains. SAC's B-52s left Robins in 1983 leaving the 19th Wing as the sole SAC unit on the base with its KC-135s. In 1990–91, during the Persian Gulf War, Robins provided record numbers of parts, repairs, and personnel to coalition forces in the Persian Gulf. Robins-maintained F-15 Eagles and the E-8 Joint STARS played key roles in defeating the Iraqi military powers. In March–June 1999, during Operation Allied Force, the same employees and weapon systems played a decisive role in defeating the forces of the Yugoslavian president Slobodan Milosevic. 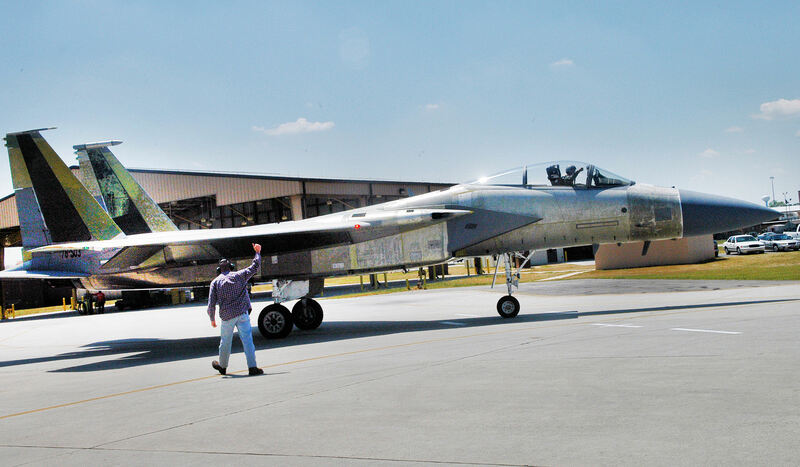 In 1996, the Georgia Air National Guard's 116th Fighter Wing at Dobbins AFB relinquished their F-15 aircraft and moved to Robins, transitioning to B-1 Lancer bombers and being redesignated as the 116th Bomb Wing. That same year, the former 93rd Bomb Wing at Robins was reactivated as the 93rd Air Control Wing with the E-8 Joint STARS aircraft. In 2001, the B-1 bombers left Robins AFB and the Georgia Air National Guard entered into a merged Active-Guard "associate" wing arrangement in the Joint STARS mission with the active Air Force, with the Air National Guard holding lead responsibility as the 116th Air Control Wing. The Warner Robins Air Logistic Complex and Robins AFB form the largest single industrial complex in the State of Georgia. The 23,000 civilian employees have an annual payroll over $1 billion. The Logistic Complex manages and overhauls the F-15, C-5 Galaxy, C-130 Hercules, and the AC-130 gunships—and all of the Air Force's helicopters. In addition, the Complex also supports the C-17 Globemaster III and U-2 aircraft. Until June 2008, Robins was also the home of the KC-135s of the 19th Air Refueling Group, when the unit was inactivated, then reactivated a month later as the 19th Airlift Wing at Little Rock AFB, Arkansas. The E-8s of the 116th Air Control Wing continues to operate at Robins as a combined Regular Air Force and Georgia Air National Guard air control wing, and the headquarters of the Air Force Reserve Command is also located on the base. The metropolis of Warner Robins, Georgia has grown in proportion to become the sixth largest city in Georgia, according to some ways of counting. The C-27J Schoolhouse, operated by L-3 Link, officially began classes at Robins Air Force Base, Georgia in September 2008. L-3 Link (a subsidiary of L-3 Integrated Systems) operates the official C-27J schoolhouse at the Georgia Department of Defense's Fixed Wing Flight Facility at Robins AFB. This world class flight facility includes training classrooms, computer learning center, a large 100 person auditorium with high-definition audio-visual equipment, flight planning and fight operations areas. The facility also houses the resident Government Flight Representative and Aviation Program Team assigned to the C-27J contract. Fixed Wing Flight Facility Robins AFB is also home of Hotel Company, 171st Aviation Regiment, Georgia Army National Guard. H Company flies the Short C-23 Sherpa to support time sensitive, mission critical cargo delivery to the warfighter. Near the base is the Museum of Aviation, begun in 1981, has four major structures on forty-three acres and ninety historic aircraft. The museum is also home to the Georgia Aviation Hall of Fame which honors outstanding Georgians prominent in aviation. The 93 aircraft and missiles on display include a B-52, SR-71, a Marietta, Georgia-built B-29, and a specially modified C-130 Hercules that was used in the failed Iran-hostage rescue mission. It has become a major regional educational and historical resource that hosts more than 500,000 visitors annually. President George W. Bush hugs a trick-or-treater Tuesday, October 31, 2006, during a Halloween visit to a housing development on base. The base is in the Macon metropolitan area, and is the single largest industrial complex in Georgia, employing a work force of over 25,584 civilian, contractor, and military members. The population was 3,949 at the 2000 census. According to the United States Census Bureau, the base has a total area of 2.7 square miles (7.1 km²), of which, 2.7 square miles (7.0 km²) of it is land and 0.04 square miles (0.1 km²) of it (0.73%) is water. As of the census of 2000, there were 3,949 people, 696 households, and 682 families residing in the base. The population density was 1,458.3 people per square mile (562.6/km²). There were 791 housing units at an average density of 292.1/sq mi (112.7/km²). The racial makeup of the base was 57.53% White, 32.19% Black or African American, 0.58% Native American, 2.68% Asian, 0.43% Pacific Islander, 2.43% from other races, and 4.15% from two or more races. Hispanic or Latino of any race were 4.94% of the population. There were 696 households out of which 82.0% had children under the age of 18 living with them, 88.6% were married couples living together, 5.9% had a female householder with no husband present, and 2.0% were non-families. 2.0% of all households were made up of individuals and none had someone living alone who was 65 years of age or older. The average household size was 3.54 and the average family size was 3.57. In the base the population was spread out with 27.7% under the age of 18, 36.0% from 18 to 24, 34.5% from 25 to 44, 1.6% from 45 to 64, and 0.1% who were 65 years of age or older. The median age was 22 years. For every 100 females there were 131.5 males. For every 100 females age 18 and over, there were 144.6 males. The median income for a household in the base was $37,420, and the median income for a family was $37,656. Males had a median income of $21,929 versus $14,820 for females. The per capita income for the base was $12,506. About 4.2% of families and 4.3% of the population were below the poverty line, including 4.6% of those under age 18 and none of those age 65 or over. This article incorporates public domain material from the United States Government document "Robins Air Force Base". ↑ "Maj Gen McMahon USAF Bio". Af.mil. Archived from the original on 2012-07-19. http://archive.is/ZxOX. Retrieved 2012-01-07. ↑ "Col Buhler USAF Bio". Robins.af.mil. http://www.robins.af.mil/library/biographies/bio.asp?id=12570. Retrieved 2012-01-07. ↑ "Col Bean USAF Bio". Robins.af.mil. http://www.robins.af.mil/library/biographies/bio.asp?id=11363. Retrieved 2012-01-07. ↑ "Warner Robins". Goroundtown.com. http://www.goroundtown.com/warnerrobins. Retrieved 15 April 2010. Wikimedia Commons has media related to Robins Air Force Base.